CBT Training in Sicup found in Foot Cray is an excellent training location to take your first steps on to two wheels. Offering one of the only off-road private CBT training locations in London available for students to practice turns, signals and manoeuvres in a safe environment. After practicing off road in Sidcup's finest CBT Training facilities, you will be required to commence your on road CBT training in near by areas such as Bexley, Chislehurst, Bromley, Swanley, Orpingron, Crystal Palace and Dartford. CBT Training Sidcup can be found off the A20 in Sidcup or if travelling by rail then hop off at Sidcup rail station and you will be a short journey away from the motorcycle training location. The best way to prepare for your CBT training is to review the highway code and review our guides section found above in the header, start with what is a cbt test or the 5 parts of a cbt. 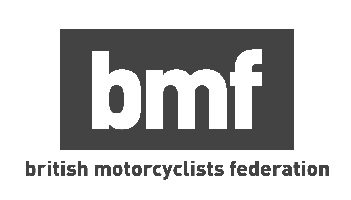 CBT Training is often referred to as a CBT Test, this is not the case, in fact, to gain your CBT certificate you will need to undertake 6-8 hours of training on one day and if you are safe on the roads you will be able to get on two wheels as soon as you leave with the certificate in hand. After your CBT Training in Sidcup you will need a bike and insurance and you will be good to go. If Sidcup isn't the best location for you, try RideTo's other London locations, including: Orpington, Thamesmead, Croydon, Crystal Palace or take a look at other locations than South London, such as North London, West London or East London.